Mike McGuinness, best known by the stage name Lempo, is a Grammy shortlisted producer and writer. Multiple number one selling artist and resident DJ for Cafe Mambo Radio and Data Transmission Radio. His career began in 2006 with residencies at the now legendary Sankeys and Venus nightclubs in Manchester. 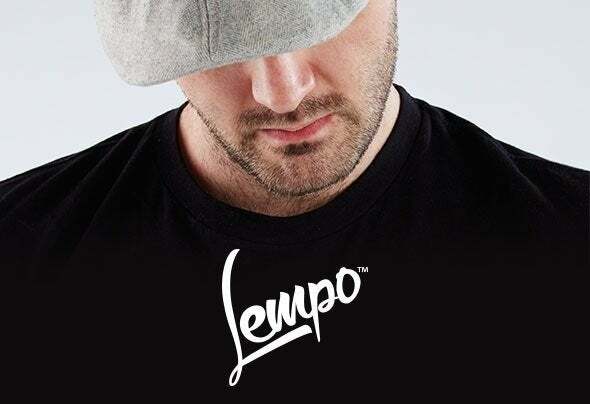 Lempo's success has seen him perform for global club brands including Ministry Of Sound, Cream, Pacha and The Warehouse Project. Lempo is signed to many prestigious independent imprints, most notably, Applique Music, Big Mix Up Records, CR2 Records, Todd Terry's InHouse Recordings, Strictly Rhythm and SupaEarth Records. His production credits can boast remix commissions for Snoop Dogg, General Levy and Dawn Penn. Original co-productions with artists including K-Klass (EMI), Mark Hill (Artful Dodger), Nick Hussey (Defected), Ruff Diamond (Universal) and Will Clarke (Dirtybird), along with a diversity of co-writes for featured vocalists such as Ashley Taylor Dawson (Hollyoaks), MC Flipside (Toolroom), Nancy Sinatra (RCA), Princess Superstar (Warner), Roland Clark (Spinnin') and TAZ (Glitterbox).